IKEA Norway launched the iPad version of the IKEA catalogue by offering a special iPad glove sewing kit! 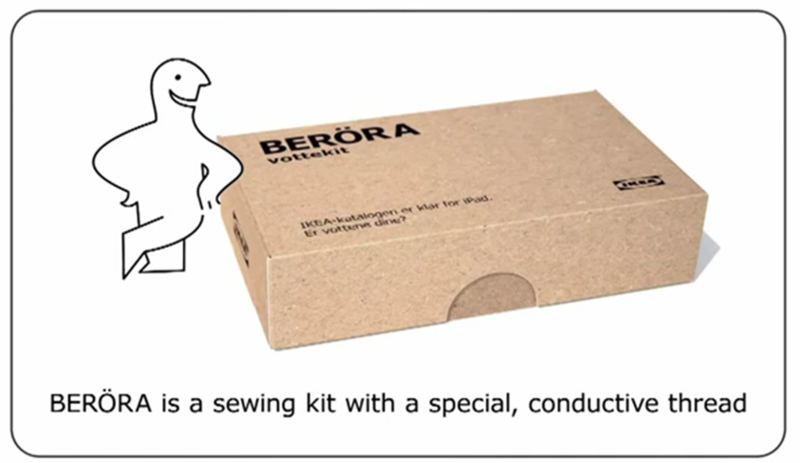 The new IKEA sewing product (called “BERÖRA”) was a sewing kit with a special conductive thread and was created around the IKEA Norwegian iPad catalogue launch. Users could sew the thread into their favourite gloves which then enabled them to work on any touch-screen - ideal for using an iPad in Norway's chilly winter temperatures! The IKEA BERÖRA stunt saw 12,000 of the iPad sewing kits distributed for free across a two week period and this saw the IKEA iPad catalogue become the top downloaded iPad app in Norway.